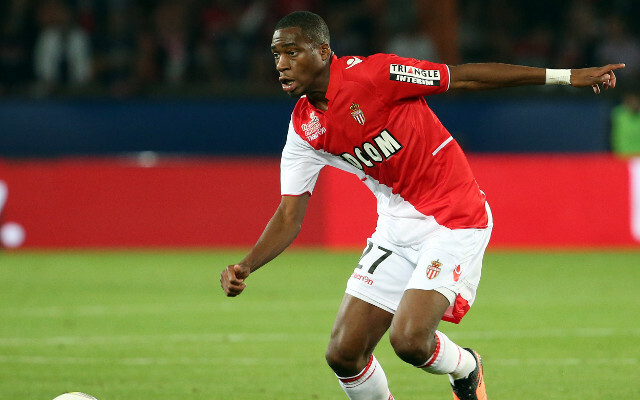 AS Monaco midfielder Geoffrey Kondogbia is a man in demand—the France international has already been considered by Real Madrid, and now Liverpool and Arsenal have joined the growing list of the player’s suitors. Kondogbia is one of the poster boys for Monaco, and has grown in importance and influence at the Stade Louis II since the Club of the Principality offloaded such big-name stars as Radamel Falcao, James Rodriguez and Lucas Ocampos. The 22-year-old has featured 18 times in Ligue 1 this season, scoring once and contributing one assist. He has also starred for Leonardo Jardim’s side in the Champions League—starting seven matches and finding the net once. According to L’Equipe [via Le 10 Sport], several major sides have cast their eye over the powerhouse. Real Madrid have been long-term admirers, and Arsenal and Liverpool are now also rumoured to be in for the former Sevilla man. However, beyond Los Merengues, Valencia and Atletico Madrid are also keen on Kondogbia with may prompt an intense transfer battle this summer.